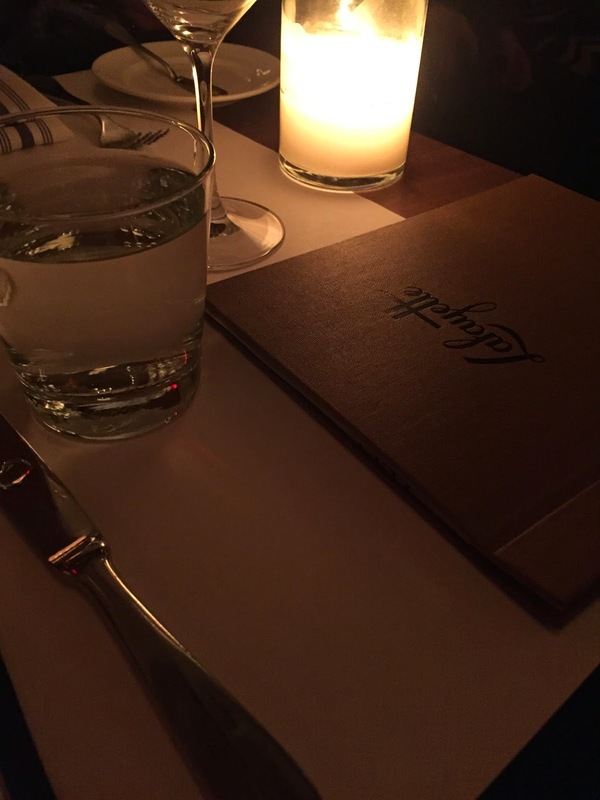 After months of whining that I haven't had an opportunity to try out Andrew Carmellini's new restaurant, Lafayette, I finally talked some old coworkers into going for our usual get together. It didn't hurt to further my point that we also used to go to the Dutch all the time and my one former coworker loves anything French! The experience to unfold below is why they're my #FoodCrushFriday this week. Don't even get me started on how cute this place is and the inviting ambiance of the space. If you bring a date here, they will be impressed. 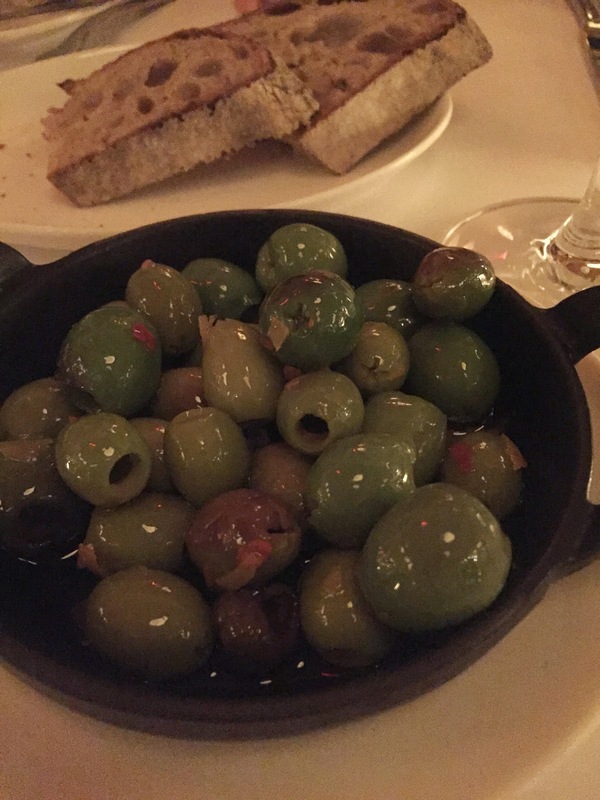 We began with Marinated Olives to nosh on and complimentary freshly baked bread, which was gone pretty quickly. What I also liked about this experience is that the staff is well versed not only on the menu (one coworker had a lactose allergy), but also the wines by the glass, to step in when the sommelier is busy. We were able to taste a couple that were recommended, so that we were happy with our final choice. 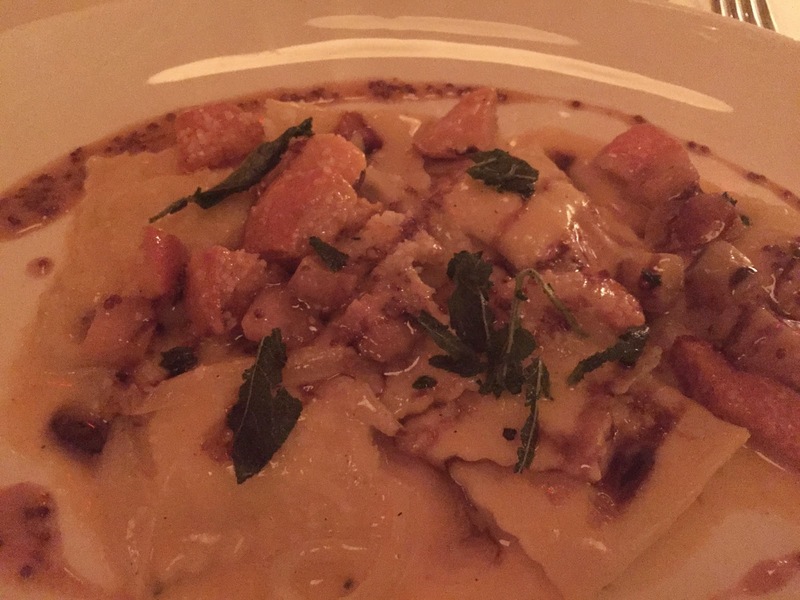 After much debate, I decided on the seasonal Roasted Squash with Ricotta Ravioli, with Apple Mustard and Sage. One of the selling points for me was that the pasta is made on site. The chunks of squash combined with the ravioli filling and unique combination of the mustard, made this a perfect choice for the Fall. 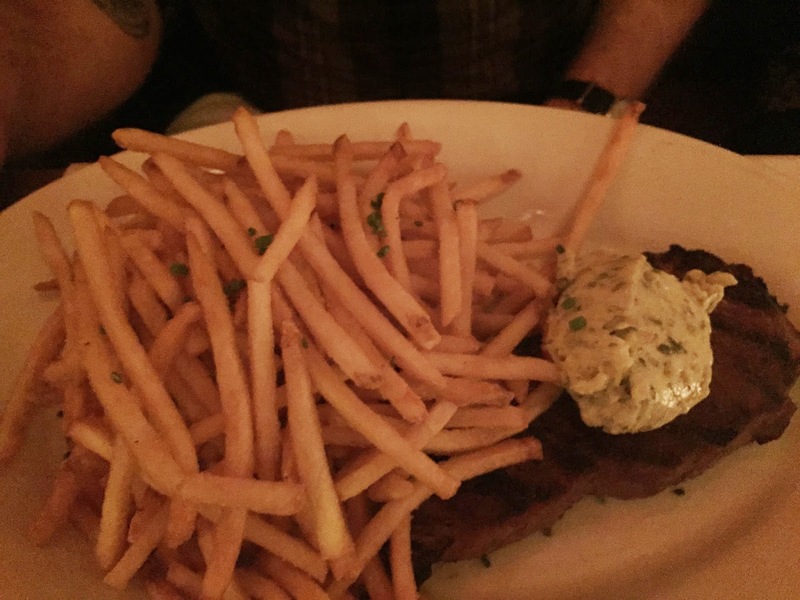 My one friend went for the Dry-Aged Strip Steak Frites, with Bearnaise Butter because he was craving meat and the fries came highly recommended. They did not disappoint and the portion was quite large. 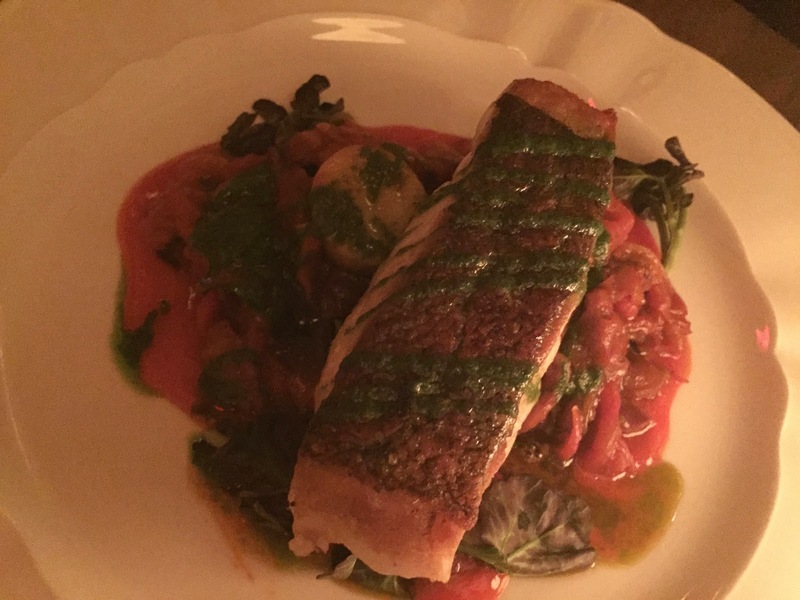 Because of her allergy and help from our server to decipher what on the menu she could have, she opted for the Atlantic Cod with Roasted Peppers, Chorizo and Basil. The red sauce created a more hearty spread than is usual with white fish dishes. The cod flaked perfectly. There were too many great dessert options, so we chose two. Had I known the dessert menu changed so often, I would've take a screenshot to correctly name the above dessert, but I didn't! 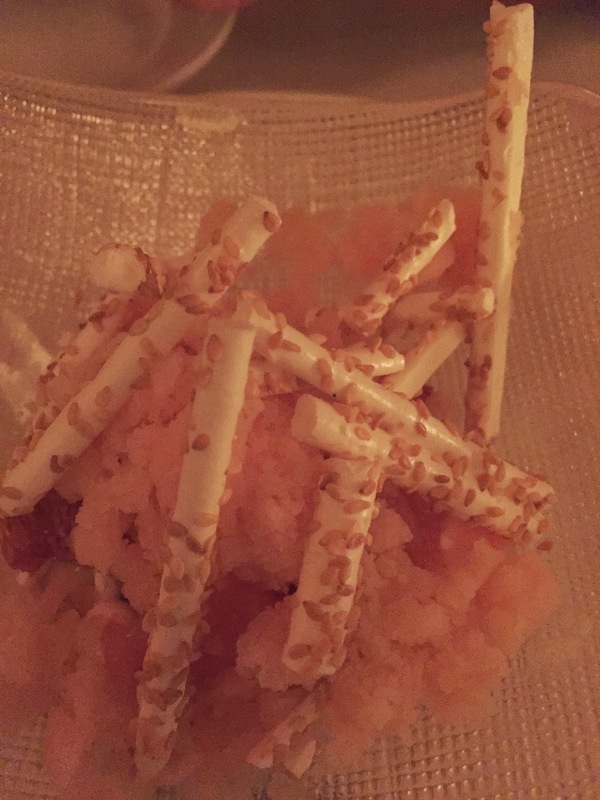 The above was a grapefruit dessert with elements of crushed sorbet, merengue and seeds. Its function is primarily as a palate cleanser. It was very refreshing, citrusy, and light. Secondly, we sampled the Chocolate Coupe with Chocolate Ice Cream, Ginger Beer Gelee, and Cocoa Nib Chantilly. 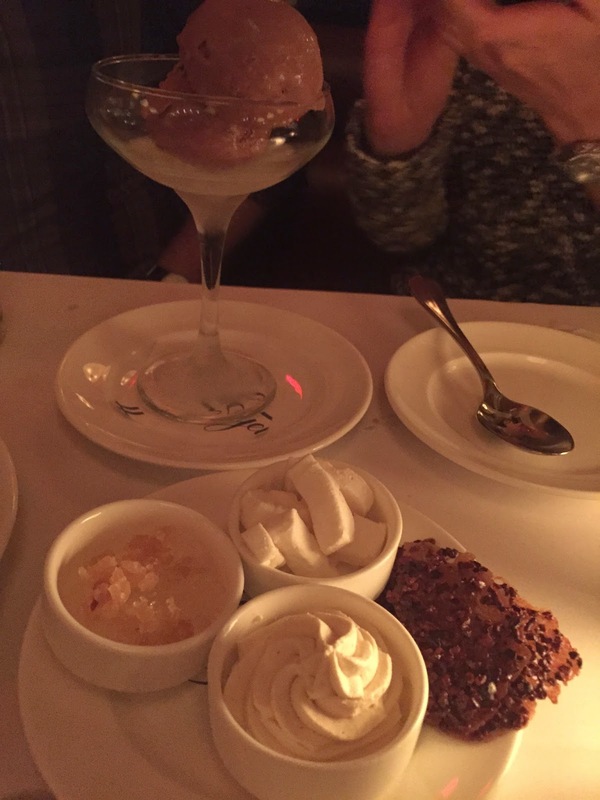 Because of one of the diner's allergy, the sundae was served to us deconstructed so that everyone could have some. Their accommodation took their service above and beyond the norm and we were definitely grateful. 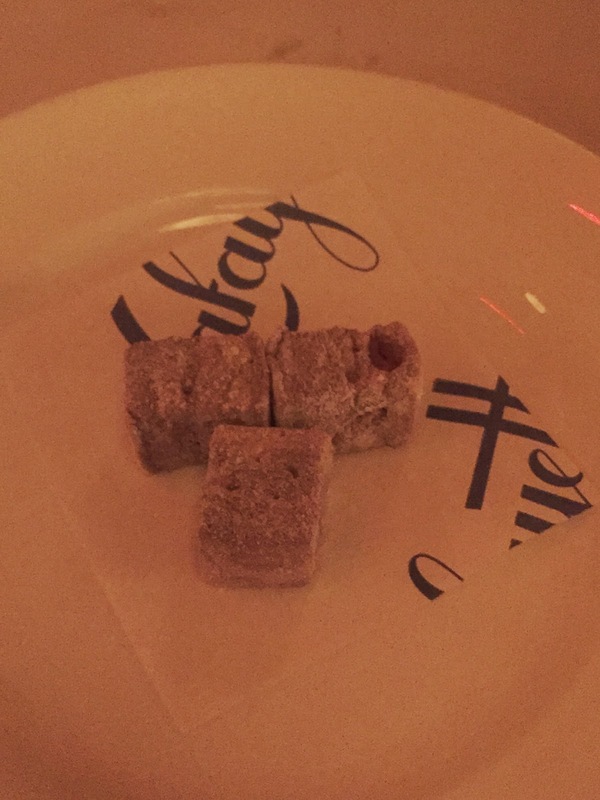 Lastly, we were given complimentary chai tea marshmallows. Overall, this was just a lovely dining experience and I want to also try their brunch, which also came highly recommended. Lafayette is perfect for a night out with family or friends, a business dinner, or anyone you might have reason to impress. Have you eaten at Lafayette? Do you agree with its #FoodCrushFriday title? Let me know your thoughts!